Ever thought about becoming the bad guy? Especially if you could be in charge of a whole operation. 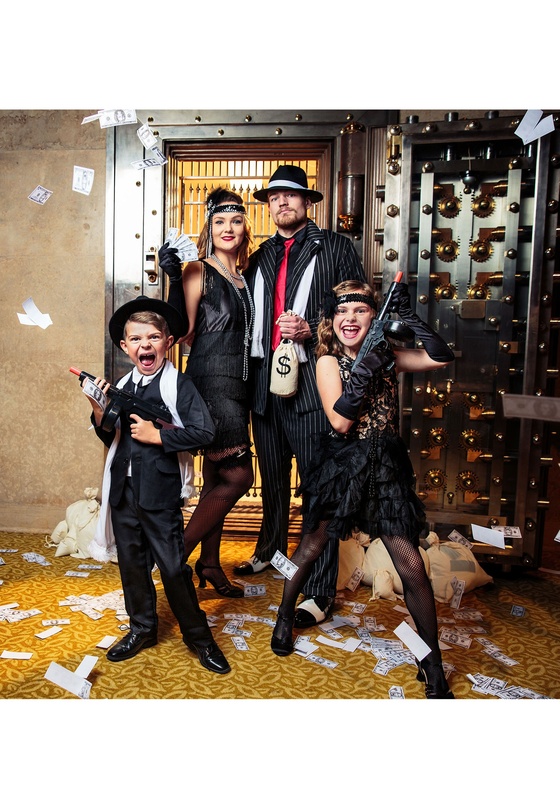 You know what we're talking about here, what if you were able to be the crime kingpin himself? Who says that the mob is all bad anyway. Look at how much of the economy that they stir up and, so long as you’re in good with them, you know that you’ll be safe, secure, and probably entertain a good amount of prosperity. Who knows!? Perhaps you might be the first kindly and beneficent mob boss—one who is ready to act as a shining beacon? A hero to the city! Which kind of Mob Don will you be? 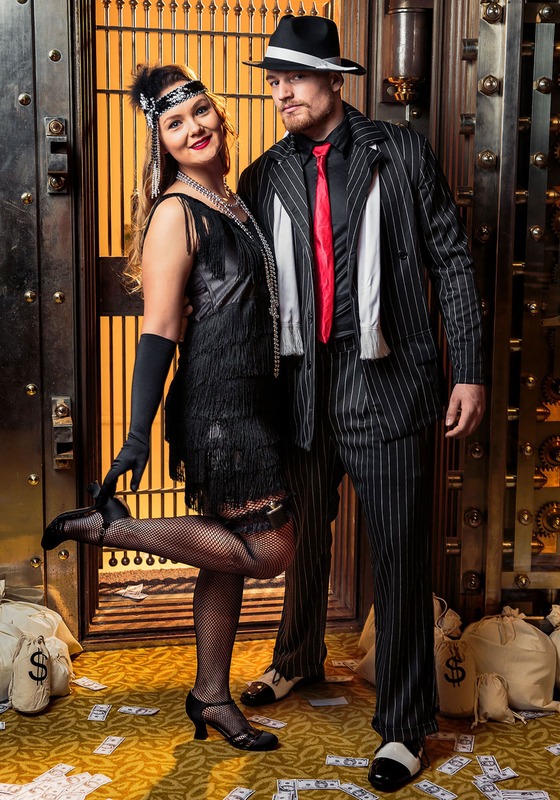 Choose your path, but start out in high finery with this Men’s Mob Boss costume. 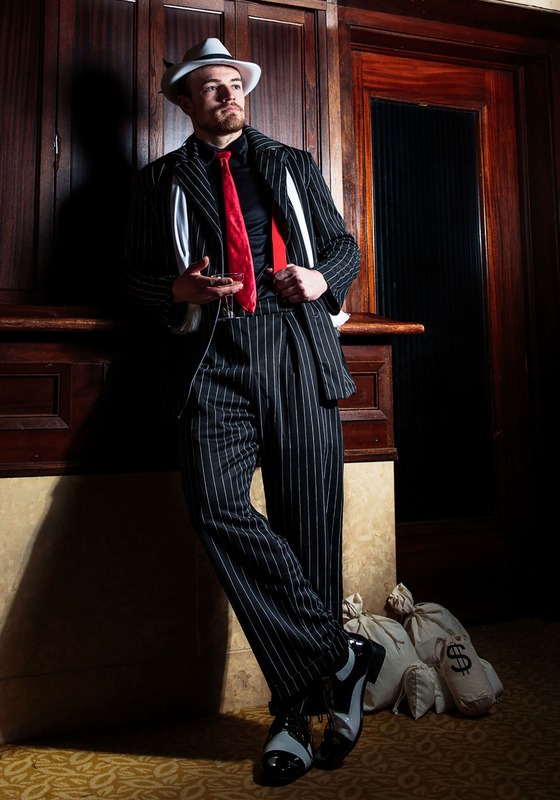 You can run your own crime ring thanks to this sharp looking ensemble that includes a black and white pinstriped pant, shirt, and matching jacket. 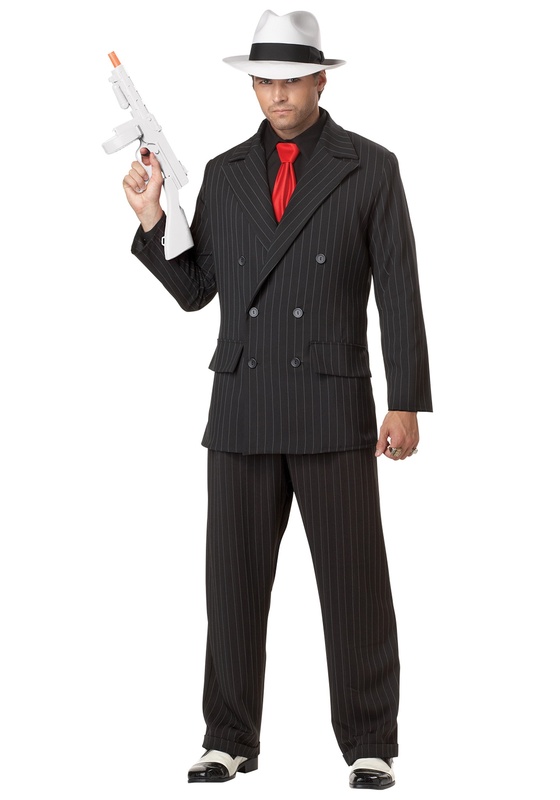 The double-breasted suit jacket has wide lapels, four buttons in the perfect style of the grand gangster days, and two false pockets. The pullover black shirt has a pointed collar and built-in red necktie for that lovely splash of dangerous color. Elastic suspenders with silver metal clips shine bright under the jacket. 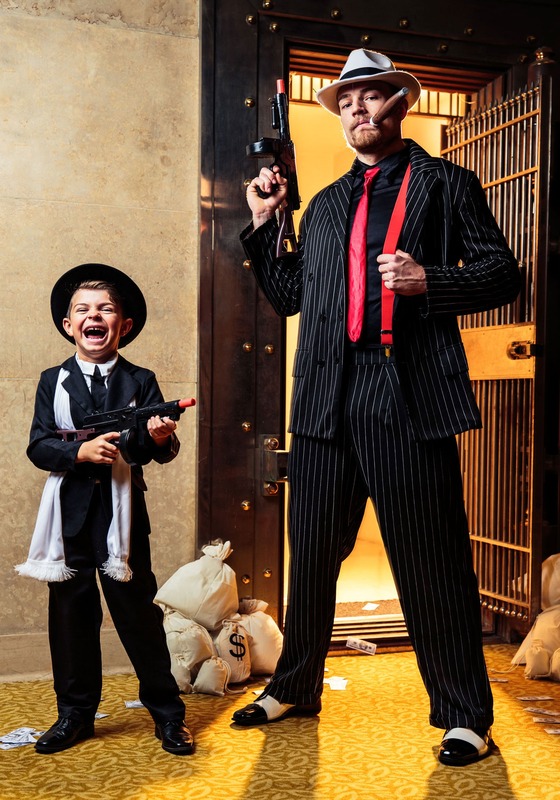 All you need now is the right tommy-gun and some equally flashy-looking underlings and you’ll own the city in the span of a single night. Available in multiple sizes for the kiddos, bosses, and goons alike!